The 2016 Summer Olympic Games will be held in Rio de Janeiro, Brazil. Marksmanship will be an important part of the Rio Olympics. 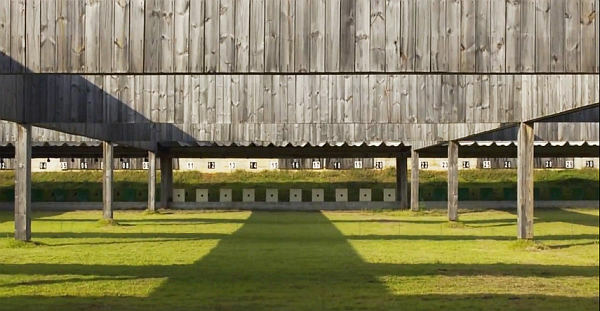 Nearly 400 top shooters from around the world will compete in rifle, pistol, and shotgun events. The shooting competitions will take place in a large, modern sports complex originally created for the 2007 Pan-American Games at a cost of $53.5 million. This complex, located within the Deodoro Olympic Park in Rio, offers roughly 30,000 square meters of improved areas on the 125,000 square meter site. Brazil’s Olympic Shooting Center (also known as the National Shooting Center) is an impressive facility. In size, scale, cost, and capabilities, Rio’s Shooting Center is without rival in the Southern Hemisphere. 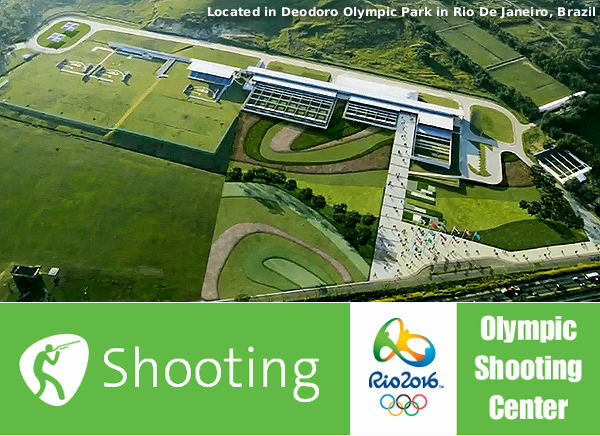 If you want to learn more about the Olympic Shooting Center in Rio, there is an good article on the Shooting Sports USA website. This covers the history of Brazil’s Olympic shooting teams, and explains what competitors can expect this summer. 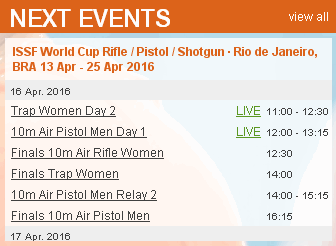 Right now the Olympic Shooting Center is being used for the ISSF World Cup. Shooting Center Photos from video by BCMF Arquitetos. 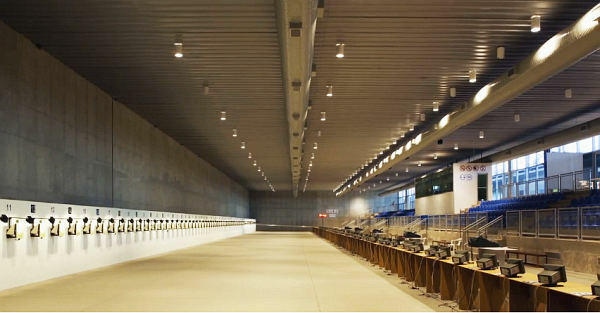 Share the post "Rio’s Remarkable Olympic Shooting Center"
Impressive indeed! Shotguns and pop guns! no highpower? No thanks!